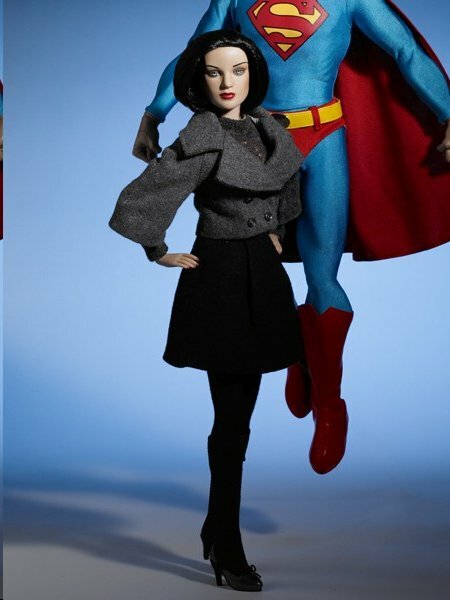 "Lois Lane" features a 16" articulated, bent-wrist Tyler body, hand-painted blue eyes and rooted raven hair. She was created as the souvenir doll for the Tonner 'Dreamscape' Convention - Superman Event. Black opaque tights; knee high, high heeled boots; lined black flared skirt; dark charcoal turtleneck; cropped charcoal jacket, black belt; stylish over-sized sachet. Includes display stand. NRFB.